BAZ-ART features yet another International Public Art Festival (IPAF) artist, Ana Kuni. Ukrainian born model turned artist has taken the 21st century by its horns with her feminist inspired works. Ana’s signature theme is inspired by a warrior girl, a strong woman who is guided by her natural instincts and intuition. She either knows what she wants or is not afraid to find out. She is a wild woman with a curious mind and gentle heart. She embodies expressiveness and modern day freedom. Ana has had a rather impressive career in both arts and fashion. She has graced the covers of numerous magazines such as GQ, Elle UK. Her hand painted one of a kind denim jacket clothing line has been in stores such Top shops and River Island. She also collaborated with ArtOgi to create yoga mats that connects her love for art and love for yoga and is a way to incorporate art in our everyday life. 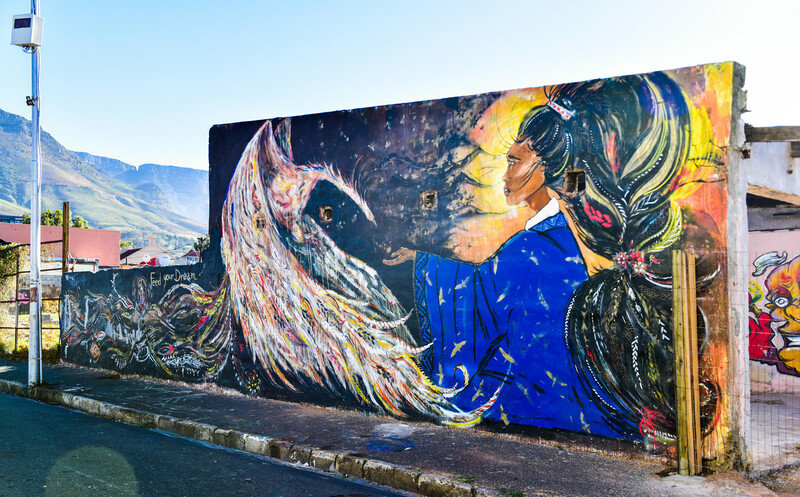 She not only embraces animals in her art, Ana serves as an animal rights activist and donated proceeds from her “The Wild Life” collection to various animal protection charities to raise awareness for endangered species in South Africa. When it comes to career advice, Ana as the warrior that she is, keeps it quite simple : “Be true to your art! If you make something you believe in, people will feel it and will want to be a part of it”. She pays credit to social media for her career boost and advises that it be used as medium to share thy authentic self, being rather discerning with what she shares, aiming to always keep it positive.